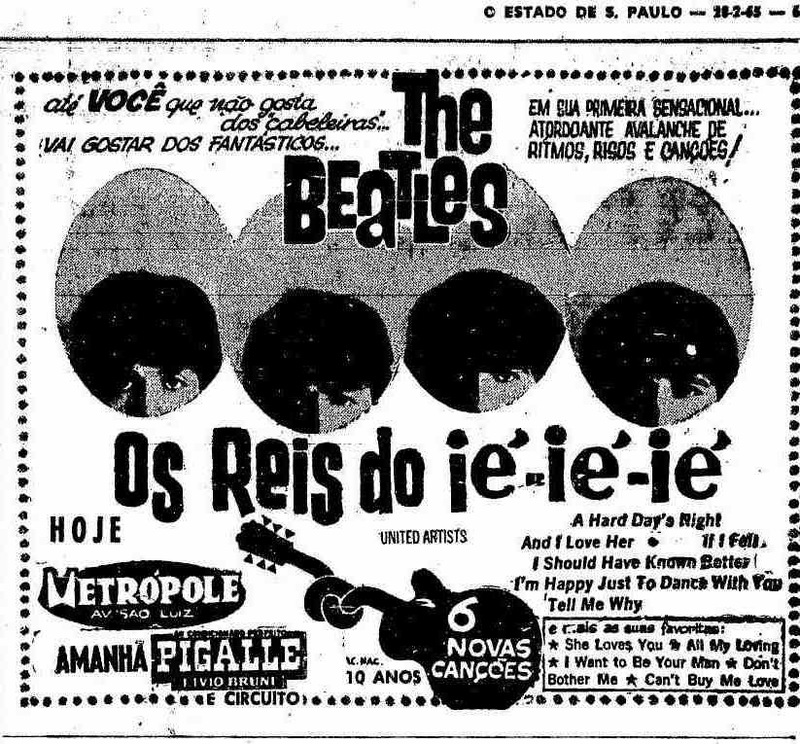 28 February 1965 - The Beatles's 'A hard day's night' becomes 'Os reis do i-ié-ié' in Brazil. 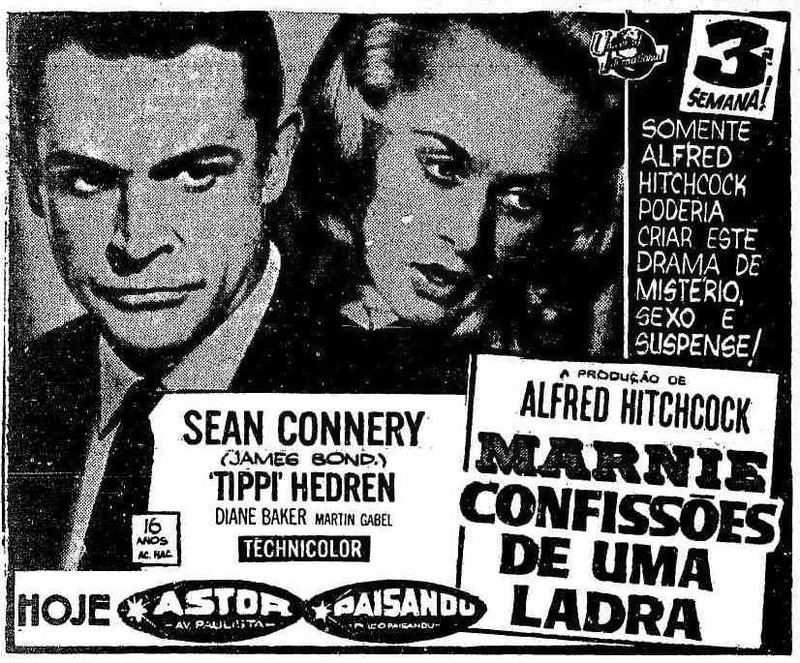 Alfred Hitchcock's super-sleak 'Marnie, Confissões de uma ladra' same day as the Beatles's flick. 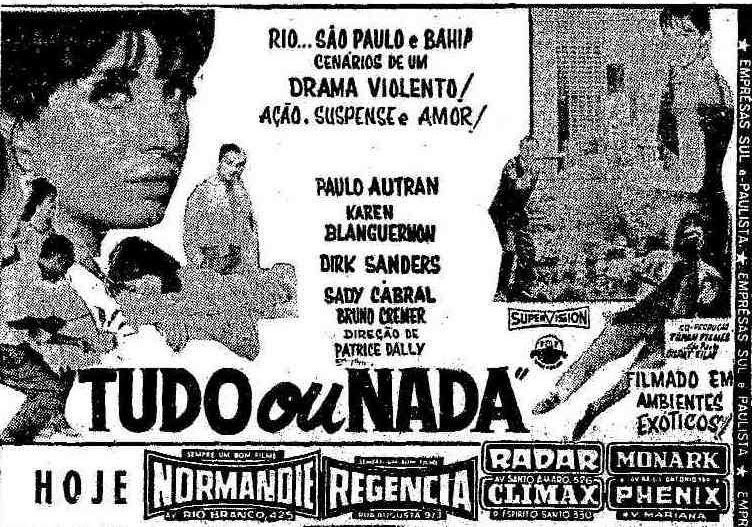 11 September 1965 - French production directed by Patrice Dally, 'Le tout pour le tout' (Tudo ou nada) shot on location in Rio, S.Paulo and Bahia in 1962. 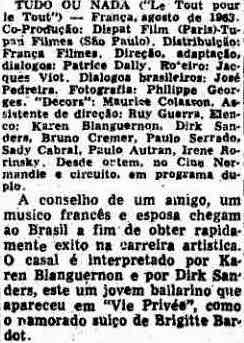 A French couple - Karen Blanguernon & Dirk Sanders - arrive in Brazil to try and become successful in their musical pursuits. 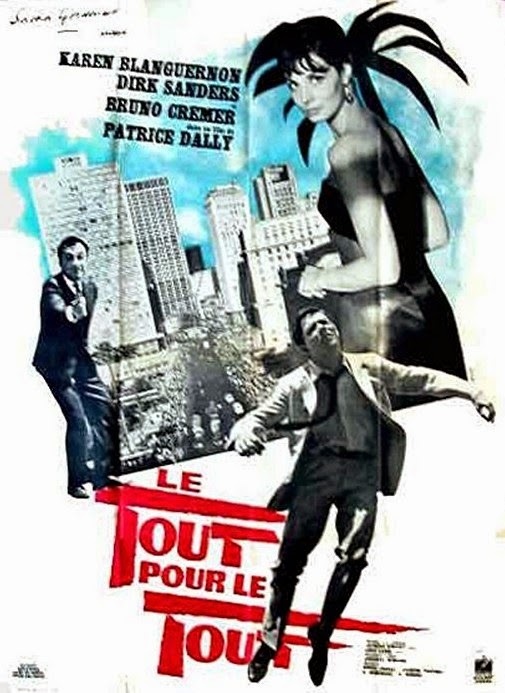 It was released in France in August 1963 but it took 2 years to show up in Brazil. See the add in Estadao has been tampered with: Brazilian Paulo Autran went from a supporting role to being its main star - a typical local deception. Brazilian actor Sady Cabral's name has gone from bottom to top eclipsing Bruno Cremer who plays the villain. 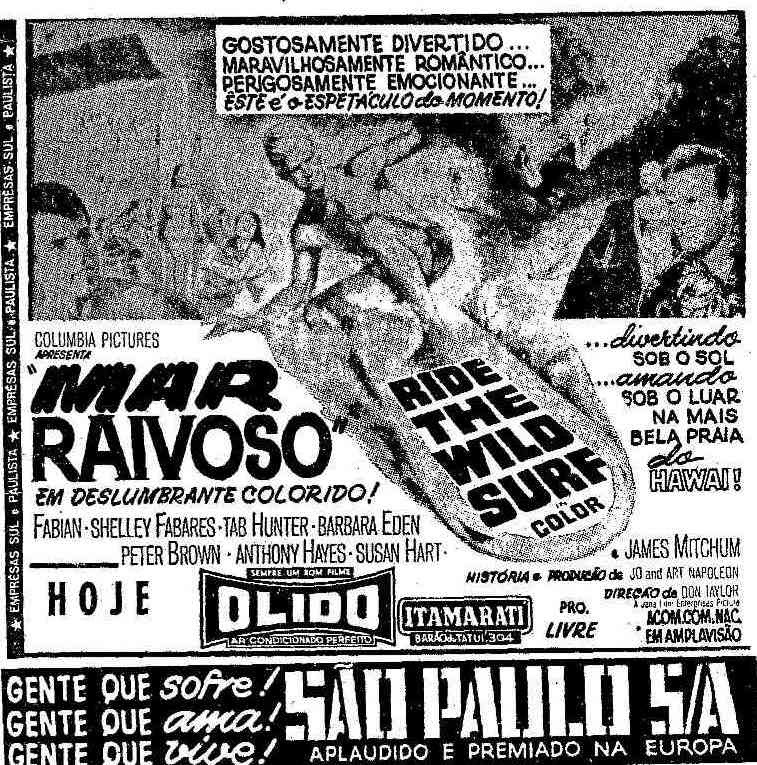 11 September 1965 - beach party movie 'Ride the wild surf' (Mar raivoso) had been released in the USA on 5 August 1964 just over a year before cashing in on Fabian's good looks and Shelley Fabares's popularity as Donna Reed's eldest daughter on TV's 'The Donna Reed Show' (1958-1963) and her #1 record 'Johnny angel' in 1962. 12 December 1965 - O Estado de S.Paulo.